Ever felt torn between two worlds? Like you belong in each one but they just don’t fit together. Whether you’re mentally screaming “YES!” right now (I see you, there at your computer, trying not to throw your hands up in the air like “me too!! 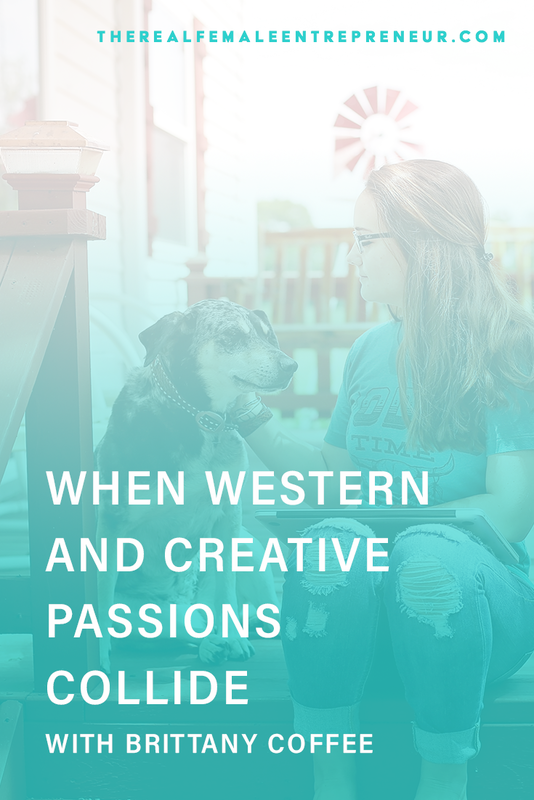 !”) or whether you’re wondering how in the hell a passion for all things western + agriculture + the rodeo collide with wedding photography and the creative industry, this conversation with Brittney Coffee is golden!! She shares about everything from how her passion for both of these worlds began, how they collided into one business, and taking that business full-time right after college. Oh, and also the book she’s creating. Yep. Not just writing. She’s creating and self-publishing the entire thing. She’s writing all of the stories and taking all of the photos. And she’s in the midst of bringing that to life (and trying to get it on shelves in Barnes in Noble). Brittany is a portrait, wedding and western lifestyle photographer. She travels the four-state area (Arkansas, Missouri, Kansas and Oklahoma) capturing people's way of life, as well as their adored four-legged fur babies. Brittany began this crazy business as a 16-year-old sophomore in a small town in the Northwest corner of Arkansas. It evolved very naturally and organically throughout the rest of high school, throughout college, and as her career for the year following her college graduation. Brittany recently accepted a full-time position working for a small college in Oklahoma, however she will be continuing to work on her Tales & Traditions project, as well as taking pictures and hopefully returning back to school in January.